A quiet haven in the heart of the capital, steps away from the Madeleine, minutes from the Paris Opera and the Champs Elysées. 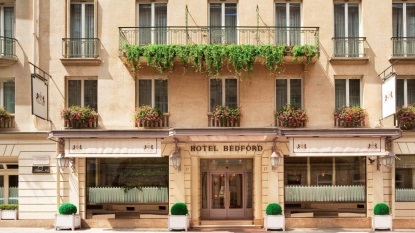 The Bedford Hotel is owned and managed by the same family for over 100 years. - 4 star luxury hotel. - Paris : Madeleine / Opéra / Champs Elysées / Department stores. - 131 rooms and 10 apartments. - Rooms with access for those with reduced mobility. - Restaurant Le Victoria with Belle Epoque décor 1900. 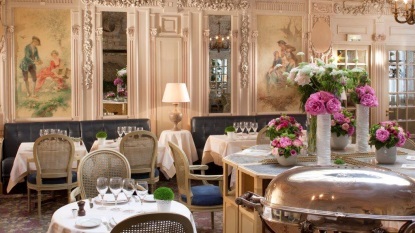 - Bar Restaurant Le Relais Bedford. - 7 meeting rooms for conferences, receptions and private dining. - Free wifi internet access (high-speed optic fibre). - Parking available upon request. - Security: video surveillance network.